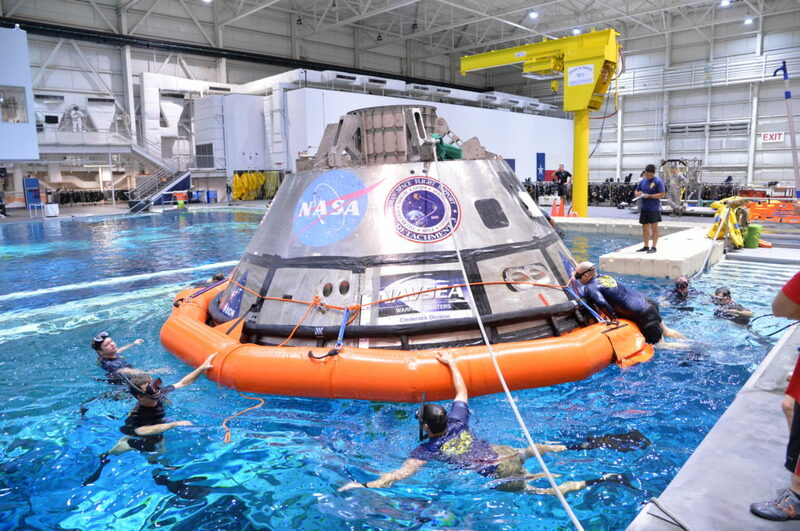 A group of U.S. Navy divers, Air Force pararescuemen and Coast Guard rescue swimmers are practicing Orion underway recovery techniques this week in the Neutral Buoyancy Laboratory (NBL) at NASA’s Johnson Space Center in Houston to prepare for the first test flight of an uncrewed Orion spacecraft with the agency’s Space Launch System rocket during Exploration Mission 1 (EM-1). Training in the NBL began Sept. 20 and will wrap up by Sept. 22. Training at the NBL will help the team prepare for Underway Recovery Test 5 (URT-5), which will be the first major integrated test in a series of tests to prepare the recovery team, hardware and operations to support EM-1 recovery. The recovery team, engineers with NASA’s Ground Systems Development and Operations program and Orion manufacturer Lockheed Martin, are preparing for URT-5, which will take place in San Diego and aboard the USS San Diego in the Pacific Ocean off the coast of California in October. During EM-1, Orion will travel about 40,000 miles beyond the moon and return to Earth after a three-week mission to test the spacecraft’s systems and heat shield. Orion will travel through the radiation of the Van Allen Belts, descend through Earth’s atmosphere and splashdown in the Pacific Ocean. A heavy-lift crane lowers the second half of the D-level work platforms, D north, for NASA’s Space Launch System (SLS) rocket, into position Sept. 9 for installation in High Bay 3 in the Vehicle Assembly Building at the agency’s Kennedy Space Center in Florida. The platform will be installed on the north side of the high bay. 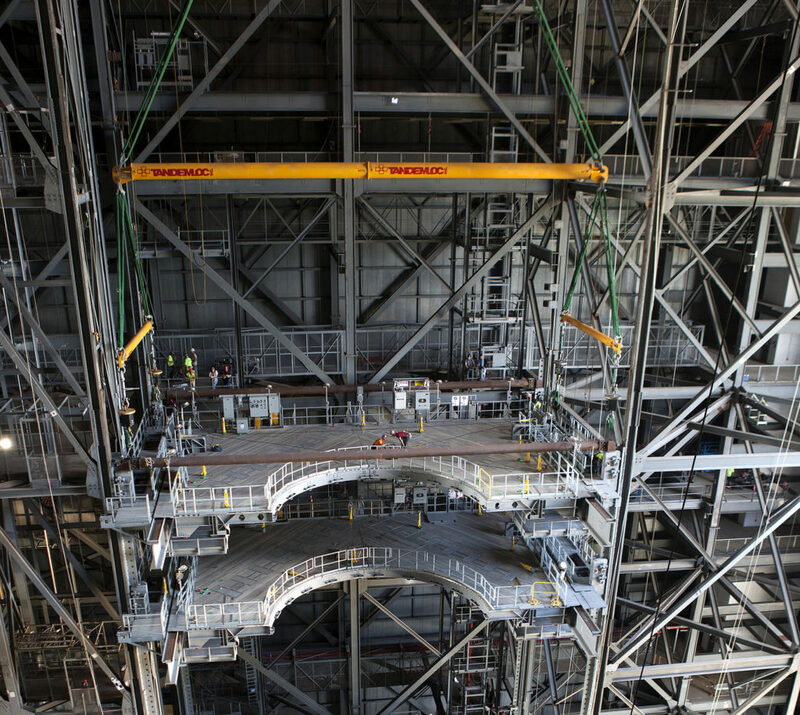 The D platforms are the seventh of 10 levels of work platforms that will surround and provide access to the SLS rocket and Orion spacecraft for Exploration Mission 1. The Ground Systems Development and Operations Program is overseeing upgrades and modifications to VAB High Bay 3, including installation of the new work platforms, to prepare for NASA’s journey to Mars.